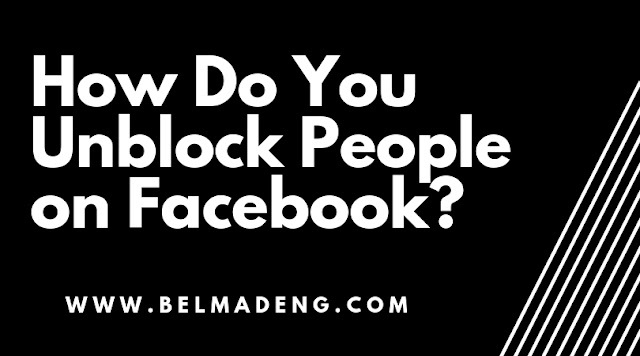 How Do You Unblock People on Facebook? Homeunblock peopleHow Do You Unblock People on Facebook? How Do You Unblock People on Facebook? Here's how to unblock people you've blocked from seeing your profile on Facebook. Unblocking on Facebook is the reverse of blocking. When you block people for reasons best known to you, they won't be able to locate your timeline and interact with you on Facebook. See: How can I tell if I’ve been blocked by Messenger? Even if they search for you on Facebook, they won't see you. In the same way, if someone has blocked you, rather than simply discontinued your friendship, his name will not show up in your account's search results. Bear in mind that when you unblock people on Facebook, they won't befriend you automatically. To reconnect with them, you'll need to send them a friend request which they'll need to accept. Here you'll see the steps you need to follow to unblocked people you've halted from accessing your Facebook profile. 3. Click on Blocking from the list displayed on the left side of the page that appears. 5. Navigate to the blocked user's section, enter the name of the person you wish to unblock in the space provided and then click Unblock next to the name of the person. As a quick reminder, note that unblocking won't automatically add the person back to your "friends list." If you want to become friends with this person again, you'll need to send them a new friend request. And you can also block them again after 48 hours just in case you change your mind.